Flat back, high performance, extra strong BMX chains. Slotted outer link with grind friendly ‘flat back’ and curved inner edge for micro-drive compatibility. 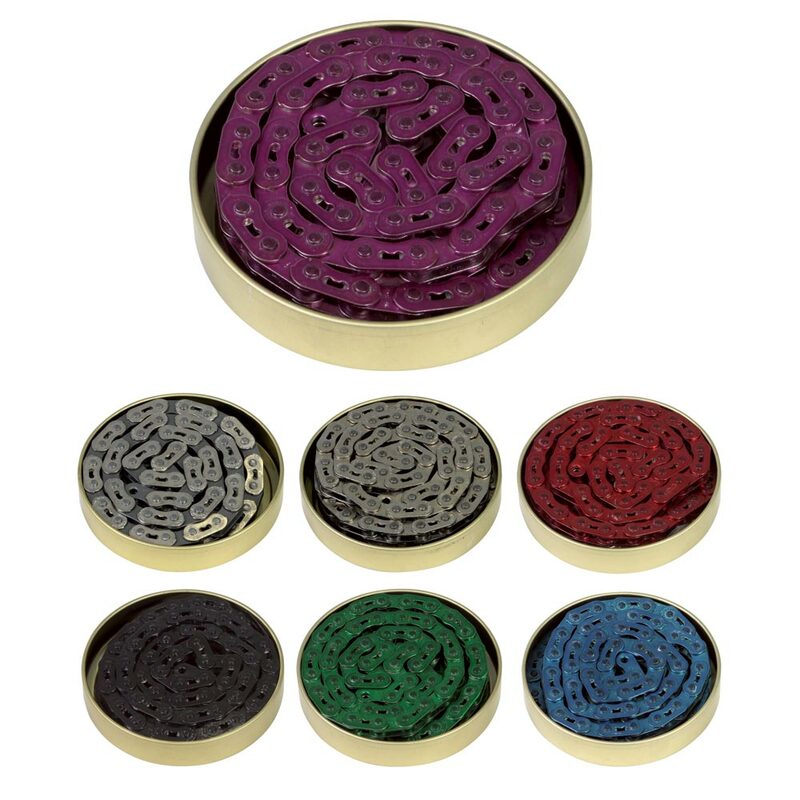 Chrome, chrome outer/grey inner, gold or ‘magic’ coated red, blue, purple, green or black. Chrome, chrome outer/grey inner, gold or ‘magic’ coated red, blue or black.